Social media is restructuring urban practices–through ad-hoc experimentation, commercial software development, and communities of participation. This book is the first to consider how practices contained within social media are situated within a larger genealogy of public space, including theories of communal identity, civitas and democracy, the fete, and self-expression. Through empirical research, the actual social practices of participants of networked publics are described and analyzed. 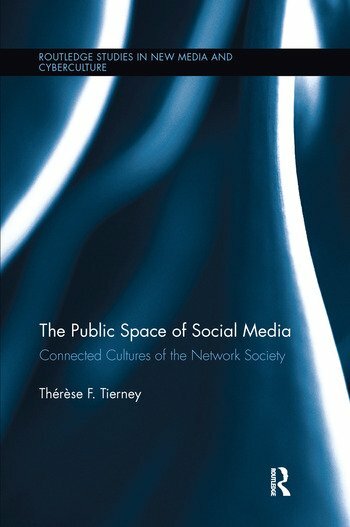 Documenting how online counterpublics use the Internet to transmit classified photos, mobilize activists, and challenge the status quo, Tierney argues that online activities do not stop in online conversations; they are physically grounded through mobile GPS coordinates which are then transformed into activities in physical space—the street, the plaza, the places where people have traditionally gathered to demonstrate and express their opinions publicly. Thérèse F. Tierney is an Assistant Professor of Architecture with a Designated Emphasis in New Media at the University of Illinois Urbana Champaign, US.